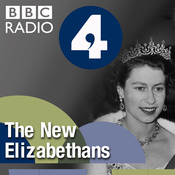 The New Elizabethans: Queen Elizabeth II who celebrates her Diamond Jubilee this year. As the longest-lived and second-longest-reigning monarch of the United Kingdom after Queen Victoria, she has been served by a total of twelve different Prime Ministers and has witnessed tremendous social, political and cultural changes, including the transformation of the British Empire into the Commonwealth of Nations. The Queen and her family have adapted to increased public scrutiny and media interest during that time, allowing cameras to film behind the scenes at Buckingham Palace, meeting ordinary people during the first walkabout in 1970 and even in 2012 participating in the opening ceremony of the Olympics where The Queen met her most famous spy, James Bond. Despite criticism after the death of Diana, The Queen's position has not weakened but strengthened. In an address to Parliament in 2012, she paid a rare public tribute to the Duke of Edinburgh, her "constant strength and guide" and in her Diamond Jubilee message said she hoped "this Jubilee year will be a time to give thanks for the great advances that have been made since 1952 and to look forward to the future with clear head and warm heart." The New Elizabethans have been chosen by a panel of leading historians, chaired by Lord (Tony) Hall, Chief Executive of London's Royal Opera House. The panellists were Dominic Sandbrook, Bamber Gascoigne, Sally Alexander, Jonathan Agar, Maria Misra and Sir Max Hastings. They were asked to choose: "Men and women whose actions during the reign of Elizabeth II have had a significant impact on lives in these islands and/or given the age its character, for better or worse.". Simon Cowell is today's New Elizabethan. Cowell started out on Pop Idol in 2001, before devising X-Factor and Britain's Got Talent. Franchised around the world, these programmes have helped Cowell into the top ten of the Sunday Times music rich list, estimated worth £200-million. Known for offering his blunt opinions to less than talented wannabes, he chose a mirror as his luxury item when he appeared on Desert Island Discs in 2006. The New Elizabethans have been chosen by a panel of leading historians, chaired by Lord (Tony) Hall, Chief Executive of London's Royal Opera House. The panellists were Dominic Sandbrook, Bamber Gascoigne, Sally Alexander, Jonathan Agar, Maria Misra and Sir Max Hastings. They were asked to choose: "Men and women whose actions during the reign of Elizabeth II have had a significant impact on lives in these islands and/or given the age its character, for better or worse." Producer, Sukey Firth. The New Elizabethans: Rupert Murdoch the global media magnate whose career began when he inherited newspapers from his father, founded Australia's first national daily paper, the Australian and then came to the UK to buy The News of the World, The Sun and eventually The Times and The Sunday Times. His influence spread to the USA where he acquired other papers, Twentieth Century Fox Film Corporation and several independent television stations. He formed BSkyB in 1990 which has dominated the British pay-TV market ever since. At the age of 81, despite the damage done to his business due to the phone hacking scandal, his political influence and business skills elicit both fear and admiration and Forbes magazine lists him as the 24th most powerful person in the world. The New Elizabethans have been chosen by a panel of leading historians, chaired by Lord (Tony) Hall, Chief Executive of London's Royal Opera House. The panellists were Dominic Sandbrook, Bamber Gascoigne, Sally Alexander, Jonathan Agar, Maria Misra and Sir Max Hastings. They were asked to choose: "Men and women whose actions during the reign of Elizabeth II have had a significant impact on lives in these islands and/or given the age its character, for better or worse.". The New Elizabethans: James Naughtie examines the legacy of banker Fred Goodwin. Having turned the Royal Bank of Scotland into a major player in global banking, he lost millions of pounds, a knighthood, and any public esteem. Just how much did the actions of "Fred the Shred" and other leading bankers jeopardise the global economy? The New Elizabethans have been chosen by a panel of leading historians, chaired by Lord (Tony) Hall, Chief Executive of London's Royal Opera House. The panellists were Dominic Sandbrook, Bamber Gascoigne, Sally Alexander, Jonathan Agar, Maria Misra and Sir Max Hastings. They were asked to choose: "Men and women whose actions during the reign of Elizabeth II have had a significant impact on lives in these islands and/or given the age its character, for better or worse.". The New Elizabethans: Tony Blair James Naughtie considers the political legacy of Tony Blair, the youngest and longest serving Labour Prime Minister. Sweeping Labour to power in 1997, Blair enjoyed huge popularity, and his government, under the banner of "New Labour" was credited with policies improving schools and the health service, as well as brokering the Good Friday peace agreement in Northern Ireland. 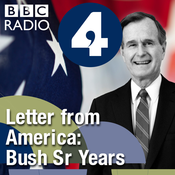 He was involved on more foreign conflicts than any other Prime Minister of the 20th Century, and remains controversial with the regards to the British military involvement in the war in Iraq. The New Elizabethans have been chosen by a panel of leading historians, chaired by Lord (Tony) Hall, Chief Executive of London's Royal Opera House. The panellists were Dominic Sandbrook, Bamber Gascoigne, Sally Alexander, Jonathan Agar, Maria Misra and Sir Max Hastings. They were asked to choose: "Men and women whose actions during the reign of Elizabeth II have had a significant impact on lives in these islands and/or given the age its character, for better or worse." Producer: Alison Hughes. 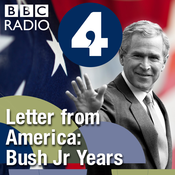 Lyt til The New Elizabethans, Letter from America by Alistair Cooke: The Bush Sr Years (1989-1992) og mange andre stationer fra hele verden med app'en radio.dk.